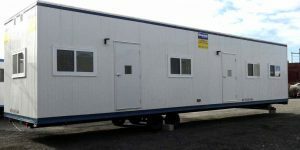 10 x 50 Office Trailers are great for use as multiple private offices, an open concept conference room, or a combination of the two! Just let us know when placing your order what your desired floor plan is, and we will make it happen. 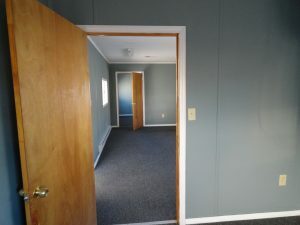 Our full service shop can even add and remove bathrooms and closets at your request! Your options don’t end there! 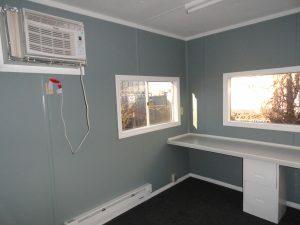 Desks, plan tables, heat, and air conditioning are available with every office trailer! Visit our accessories page to view a full list of options.